Achilles Restaurant opened its doors in 1974, beginning a long-standing tradition of excellent homemade food. In 2007 — new owner, Stavro Malaveci remodeled and revamped, with a new menu that consists of homemade dinner selections that are prepared “from scratch”, delicious homemade soups, salads, sandwiches and a large breakfast menu. At Achilles, we want you to feel at home. We take pride in offering an immaculate environment and a welcoming atmosphere. From the moment you pass through our doors, you are welcome. We want you to feel more at home here than any other restaurant in town. We’ll welcome you warmly and see to it that you enjoy a memorable dining experience. 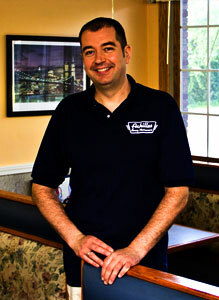 To all our customers, thank you for choosing Achilles Coney Restaurant. We will always be here to satisfy our customers the best way we can!